Gabrielle Palmer's groundbreaking book "The Politics of Breastfeeding" highlighted the controversies surrounding the aggressive promotion of breast milk substitutes. She now turns her attention to complementary feeding - the first foods that a child eats besides milk. For most of human existence, children went without industrially processed foods and branded food products. Can we applaud the progress of the way children are fed today? In our unequal world one billion people risk their health through overconsumption while two billion people are hungry. The health problems of both groups start in early childhood. The power and influence of the food industry has increased dramatically in recent decades. Seductive and often unethical modern marketing methods have led to the promotion of unsuitable, unnecessary and sometimes harmful baby foods. Yet not all industrially processed foods are bad and not all 'natural' foods are good. Both poor and rich children may be inappropriately fed. What lessons can we learn from history? How do cultural and religious beliefs influence the choice of food? Can government initiatives have any effect? How can we provide good nutrition for all infants? 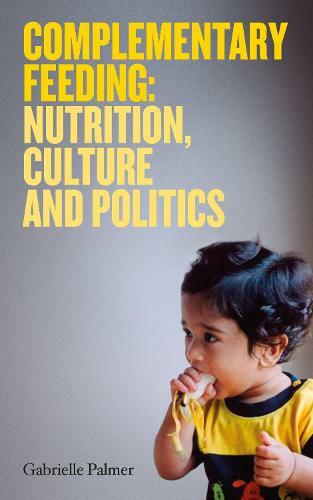 This brief, compassionate and thought-provoking new book will be of interest to anyone who is curious about the world, its children and their nutrition, and will stimulate discussion and debate as part of the campaign to create a world where health for all is a true goal. This book makes for a riveting, eye-opening read, whether you are the parent of a baby who is starting to be interested in solid food or not. This was a real eye opener to me as was The Politics of Breastfeeding. I was surprised how small this book was, but really there was no need for it to be any bigger it was packed full of information.